Black smooth leather camera bag with tonal front logo and webbing crossbody strap. Double top zipper closures and interior side pocket. 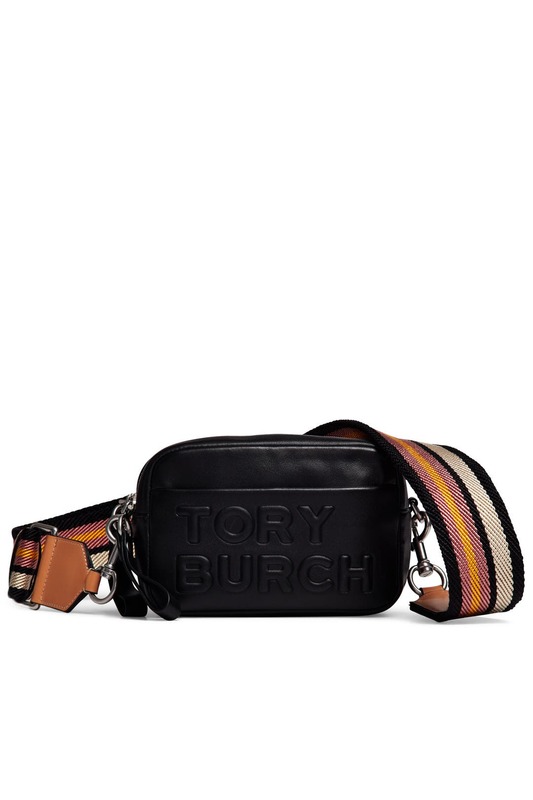 22.5" crossbody strap drop. 4.58"H x 7"L x 2.8"D.